Discussion in 'Official News & Announcements' started by Liam, May 9, 2018. So i just noticed for the Squigly Dailies you need to go through at least one treasure node before going to the final node. Can we do the same for Filia's dailies? Since she got a treasure node after the final one, the game will throw you out after finishing it and you'll have to go in again to get to the treasure node, which is a little inconvenient. Psyche, Zuzuska and Takio like this. So does this mean the exclusives will only be available in character packs or still in the premiere? Where is parasoul story mode I thought it was apose to in the new update to. We know how much everyone is looking forward to our next Story Mode content update, so here's an early look at what we're working on for Parasoul's Origin Story. It's a REAL juicy one, so get ready for that... deepest. lore. We'll be featuring some beautiful fullscreen art as well similar to Valentine's Origin Story. These take a lot of time to put together, and since we've been focusing all of our efforts on Squigly, we don't have an immediate ETA on when this will be available just yet. Stay tuned for more details - and thanks for your patience! As always, thanks for your support and patience while we work on these new updates. We'll keep everyone posted on the submission progress in this thread! I was able to fight Pyro-technique Val and the new Filia at low levels. On EVADE get LAST STAND for 3 seconds. Inflict WITHER for 5 seconds on CHARGE ATTACK. Hall☆weenQueen and MatDestruction like this. I have adressed the issue long ago in a post of mine. 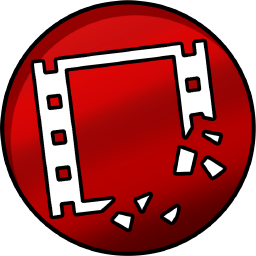 Sometimes when a blockbuster is used the opponent is stuned and so the blockbuster cannot grab him and it goes to waste! As for the Prize Fights it is mathemetically impossible to win some matches the more wins you get. In a point we lose so we have to start over again making the process tedious. Apart from that there is not decent EXP at all at the first streaks. It is time consuming for no reason. Right now I am having less fun than before. I am playing the game for a year now,from the moment it was released, so please consider our thoughts. Zenon and Dennis Aguilar like this. I was able to get a 15 streak using a level one fighter by just making their attack, move slots, and skill tree. Try doing that some. But yeah I do agree with the first part. Team Skullgirls, When will you add a new story to Story Mode? I'm tired of playing the new Prize Fight mode, starting at very low levels is extremely tedious. I want to increase my fighters' levels and the old Prize Fighting helped me a lot. I'm looking forward to the story mode because the fights are strong and the only thing that made me play again Skullgirls was the new Squigly fighter! Our next update will be arriving hopefully sometime next week depending on how the submission progress goes! Here's what you can expect to find in our next version. Playing Squigly is all about finding openings. Rather than relying on her base stats, players will have to take advantage of these openings and be precise with their timing to make Squigly maximally effective. Her Character Ability and Signature Abilities will encourage players to carefully choose moments to strike, and if those moments are squandered, her effectiveness is greatly diminished. Using her wide arsenal of Moves and Blockbusters, Squigly can attack from anywhere at a moments notice with her impressive range. With a bit of strategic planning, these long range attacks can transition into devastating combo sequences in the hands of a skilled player. Squigly will have a persistent button to activate Wrym's Tail once you unlock her Character Ability in her Skill Tree. You can tap and hold this button to enter Squigly's "charging" stance, where she will begin to accumulate Dragon Charges. Your progress towards your next full Dragon Charge will be displayed as a status effect where the normal modifier icons are. She can store a maximum of two Dragon Charges. What do they do? Glad you asked! Squigly will automatically consume one of her fully stocked Dragon Charges to enhance many of her moves when they are activated. For context, here are some examples! Draugen Punch - Added hits, more damage. Trip - Added hits, now homes in on the opponents feet. Knockback - Extra damage, now bounces the opponent off of the wall for a follow up combo. Silver Cord - Added range, quicker start-up, faster recovery. Drag 'n' Bite - Added hits, allows a combo into her first tap attack. 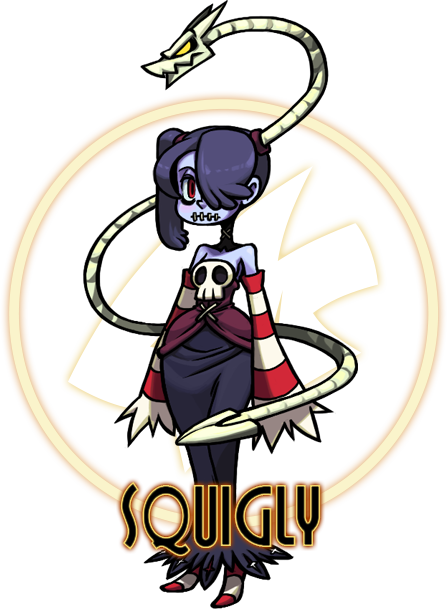 Seven new Squigly Fighters will be immediately available through the REANIMATED RELIC, which will be available for the first 7 days after 2.3.0 goes live. Get 'em while they're hot! You will be able to get Squigly's Moves from ANY MOVE RELIC (and Squigly's Daily Event - Ghoul's Night Out) as soon as 2.3.0 goes live. Squigly's first Prize Fight will be arriving on THURSDAY after 2.3.0 goes live, and her Daily Event will also be available every MONDAY (alongside her BFF Filia). We're expecting her first Prize Fight to be very competitive. Best of luck to anyone aiming for top 10%! For those of you asking for a Wind Prize Fight variant, your prayers have been answered! Poltergust will be the Gold Squigly Prize Fight top reward. Experience the scene of Squigly's reanimation! As Marie grows in power, Squigly awakens from her coffin and takes in the scene from a nearby rooftop. You can find this stage in Squigly's Daily Event and in the random stage rotation in Prize Fights! We made a LOT of changes to Prize Fights in 2.2, which has generated tons of invaluable feedback! We want you to know that we've been listening carefully to all of your notes and suggestions, and will be continuously working to help address many of your concerns. One of the main goals of Defense Teams was to provide a secondary, passive resource that skilled players could use to generate meaningful chunks of points towards their PF score while they were away. However, the current Defense Team Point rewards were set a little too low to really make that suitably enticing. As such, they've gotten a BIG boost in 2.3! We are carefully monitoring player performance in Prize Fights across all levels of player experience so that - when we do make adjustments - we are confident they will accurately address the needs of all of our players. Keep an eye out for even more improvements to Prize Fights in 2.4, such as extra rewards for tackling tough to beat teams! You've all seen Star-Crossed Parasoul, but we'll be adding two more AI fighters in 2.3 that you will no doubt come across in various modes that support random fighters. We're still tuning all three of these variants, but once we're confident that they are ready to be released into the wild, you'll be able to acquire them through Relics in a future update! As you'll discover via Squigly's Signature Abilities, there are a couple of new modifiers in town! Prevents positive buffs from being applied. After much deliberation, Character Relics now feature a 100% guaranteed chance to contain their featured characters. Gone are the days of opening a Beowulf Smackdown Relic and receiving a Peacock! In order to maintain economy health, the cost of Character Relics has increased from 150 Theonite to 200 Theonite. Why are you making Character Relics more expensive? For those of you who played Skullgirls before 2018, you may recall that this was how Character Relics were originally designed to function. Going into 2.0, we were carefully examining many aspects of the in-game economy and - for a variety of reasons (properly valuing the increased odds of getting a particular fighter, increasing relative value of the Premiere Relics, etc) - we decided to keep the Theonite Prices of the Character Relics the same, but reduce the odds of getting the featured character to 50%. The results of this have been mixed. Premiere Relics are much more viable (also in part because we added Character Relic exclusive fighters to the Premiere Relic pool), but many players have reported that Character Relics feel confusing or clunky, regardless of how we messaged the contents. 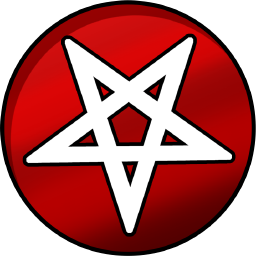 As such, we've restored them to their original states, and have instead increased the cost to compensate for the degree of control players are able to exert over their Relic rewards. As always, we welcome your feedback on any changes to the game, and look forward to continuing to tweak and tune the economy to ensure a great user experience while also ensuring Skullgirls Mobile's sustainability for years to come. In another big change, Character Relics are now going to be available on a brand new schedule! Now, Characters Relics will be available alongside their respective Prize Fights, this means that - once a Prize Fight ends, there will be a ~5 week window until the Character Relic is available again. Because Squigly is a brand new character, we will be making an exception for her - and her Relic will be available for the entirety of her launch week. Knowing that everyone's Collections are bursting at the seams, what kind of devs would we be to release a whole new set of Fighters and Moves without giving a little extra breathing room. As such, we've increased everyone's Fighter Collection capacity to 250, and Move Collection capacity to 500. As we've mentioned before, we're working on a feature that will allow you to spend Theonite to increase your collection size for a future update. In the new version, you'll notice some new offer types that will activate when you fulfill specific requirements (like pulling a new Gold fighter, running out of Theonite, maxing out your first Bronze, etc). These events will trigger limited time offers featuring great deals at discounted prices. In addition, we'll also be adding new weekly offers that will refresh every Thursday night - keep an eye out! Lastly, by popular request, the Fighter Variety Pack and Gold Mine Pack will pop-up again periodically as players progress through the game. Optimized UI frames to lower memory cost. Reduced the amount of memory that characters occupy when loaded to reduce crashes and improve app stability. Fixed an issue where hitting a tagging in character with Canopy Bounce would soft lock the app. Fixed an issue where Double was immune to throws during several types of hitstun. Fixed an issue where some Silver and Gold fighters were sneaking their way into Prize Fights that they shouldn't be allowed to enter. Fixed several edge case issues with localized text. All offers will now always display regional pricing, and they will never default to USD pricing in the event they cannot load regional pricing. Fixed an issue where Shadow Of Impending Doom would spawn more items than intended. I share your opinion. Actually Team Skullgirls badly implemented this new fighting mode. They should always use fights equal to the level of your selected fighters and make them fight with those users who have your same level in terms of your PS of the fighters. At least they should re-add the old Prizefight mode, and you could choose one of the two, according to your preference. The problem is that they do not play Skullgirls, they only develop it and publish it, but they do not take the time to play this new Prize Fights to realize how tedious it is to fight with PS too low for the users who have time playing Skullgirls. You have to be realistic, the old Prize Fight mode was equivalent to the PS of your selected fighters, it was much more entertaining to fight with your same level of PS and the rewards were acceptable. New users see the huge difference between the new Prize Fights and the Old Prize Fights, because they have low-level fighters. Users with PS fighters over 5,000 see this new Prizefight mode as an obstacle to progress to their strong fighters, a waste of time fighting with super low PS and invest half an hour before having a decent fight. The users that we have time playing Skullgirls we only have to play Experiments Damn and the Story Mode to feel like playing again with our favorite fighters. Actually most of the devs have a live account they play on. The low streak fights takes like 10-30 seconds, its not that bad. I personally get up to 25 streak within 30 minutes. New players should be focussing their efforts on story mode, though a new mode thats good for exp gain would be nice. Veterans should have no issue spending around 2 hours every 3 days to get a gold. Any sort of new challenge is going to take time to make, otherwise itll be short lived like accursed. This day I have spent two hours playing the current Prizefighting Mode to increase my new Squigly bronze and silver, but I have not overcome the streak 9. What has happened to my strong fighters? I have not used them for any combat. How many gems have I spent to raise some levels to my new Squigly? I used about 40 gems, without exceeding level 13 in bronze and level 9 in silver. Does not it seem unfair to have invested almost two hours in the game to get so little progress? In these two hours of play, How many happy matches have I had? no more than 8 fights. Why do not I use my strong fighters to get more streak? Because the unequal fights are tedious and you do not obtain neither experience nor adequate profits to your fighters. The pleasure in the fights in the streak 3 that you had in the old Prizefight, you have changed it to the streak 12 in the current Prizefights, which makes your time spent in the game is wasted in unnecessary battles and that practically not You have good rewards for yourself or your fighters. I will look forward to a new Prizefight Mode or to at least re-incorporate the old Prizefight Mode as a second combat mode, because the current one is not beneficial for me or other users. The bad thing is that only I make my opinion known and the other users who do not agree with the current way of fighting, do not make their opinion known. If this continues, I will retire from the game over time. It hurts a lot to have invested a lot of time to see my favorite fighters progress and to see them on the reserve bench, expecting a decent fight and equal to their PS, is depressing. I have always loved this game but having changed the Prizefight mode I have been disappointed. I never thought that they would ruin the game in this way. It's not that I do not agree with the novelties in the game, but that you have wrongly implemented the Prizefight mode by making us adapt to the matches that you choose, of very low PS; While in the old Prizefight it was us who chose our favorite fighters and you were looking for fights equivalent to our PS. You must let us enjoy the game from the first fight, from the streak 3 that is a challenge, using our favorite fighters, strong fighters; we do not want many fights to have a nice fight, it must be from the beginning. Id say the community has been pretty vocal about their thoughts on the new PF system. Dont grind for experience at low streaks. I could spend 2 hours and max out a bronze or two in PFs. The real fight starts after the 11th fight. I feel the same way. 1. make it so that in different pf tiers fighters not viable for that tier do not appear in the selection panel. or vice versa when tapped) corresponding to the ascending or descending arrangements of fighters. This is because in fighter selection these are the most frequently used filter criteria. low streak fights when sometimes the animations actually last longer than the fight itself. the others but I find it fairly irritating to the eyes, esp when playing in low light environments. where they're appropriate, thanks in advance for your understanding devs. It is next week she is after double which is after painwheel.